20 Something Bloggers — heard some buzz about this community through friends on Twitter. I’ve only started learning about the group but I’ve already been impressed by how welcoming everyone is. I had a comment on my last blog post within the first 24 hours of registering. You do have to request to join, they require you are that you are 20 and actually have a blog. Worth checking out if you are indeed a 20 something blogger. Raising Kids to Be Entrepreneurs — video from a talk given by Cameron Herold at TEDx Edmonton. I don’t know Cameron but I’m a fan of TED and really enjoyed his topic choice. It reminded me of my own Dad and the business lessons he taught (or always tried to teach) me growing up. Take a few minutes to watch the video start to end. I think it’s an important topic, I’m curious if others agree. 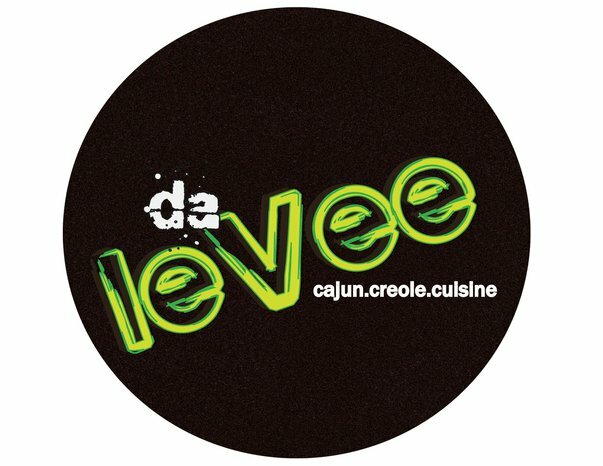 Da Levee — new Columbus restaurant delivering a taste of New Orleans to the Short North. I’ve only had the chance to visit one time for lunch so far but plan on returning again soon. Really delicious Cajun/Creole food. It’s the prefect amount of spice. The buttery garlic bread they served with my etouffee was also a memorable highlight. I’m getting hungry thinking about it now. Hit them up on Facebook for more info. So tell me, what are you digging this week? Can you learn to be more creative? Or perhaps creativity is not learned but just buried and we need to practice it. In either case, I’ve recently been attempting to search for these answers and “exercise my creativity.” I want to seek inspiration from others by putting myself in creative environments and learning from passionate people. I went to my first Pecha Kucha night in Columbus this week. Basically the speaker has 20 slides that rotate every 20 seconds for a 6 minute, 40 second presentation. I’m not sure how the selection process works but anyone is welcome to submit an idea online before the event. This Peacha Kucha was held at the OSU Urban Arts Space featuring 10 presenters. The talks ranged from topics including drawing comic books and creating a font to questions asked at the Columbus library and Ohio wines. A new friend Rhoda Lazo gave a wonderful presentation on starting her non-profit, Little and LOUD. She focused on her personal journey and what it means to search for your life purpose. Check out the video here. 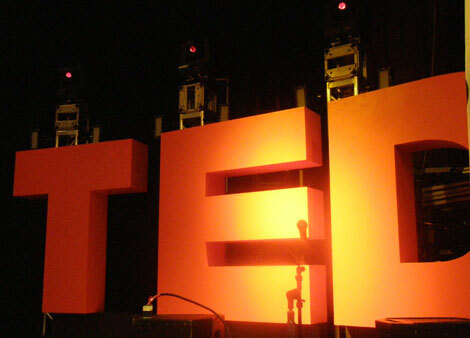 Another creative hub you may be familiar with is TED. I had watched many of the online videos before but I confess that it wasn’t until this past fall I was introduced to TEDx (independently organized TED talks). Columbus hosted a TEDx in October with some great speakers. I’m also going to TEDx Cleveland in a couple weeks. I love the combination of creativity and big picture thinking so many of the speakers express. I was really blown away by the creativity and passion from the speakers and organizers at the Alleviating Poverty Through Entrepreneurship (APTE) Summit last Friday, hosted by the OSU Fisher College of Business. If you want to meet a group of driven individuals look no further. I felt like I had stumbled upon some best kept secret in Columbus. It made me question some of my own personal career goals, wondering if I have a calling to social entrepreneurship myself. I was very interested in particular by an organization called Ashoka (something new to me at this conference). It’s a global organization that assists social entrepreneurs in their endeavors. According to their site, since 1981 Ashoka has elected more than 2,000 fellows. They provide these social entrepreneurs with living stipends, professional support and access to a global network of peers in over 60 countries. All of these events were amazing but I don’t want to give you the impression that I think you can acquire creativity by standing next to someone. However, there is definitely something important about surrounding yourself with creative thinkers. Sharing ideas out loud and starting conversations can help develop your own thoughts. How do you seek creativity? I need your help to find a student in Columbus. This quarter I’m taking a psychology course (part of my Deaf studies minor). Everyone in the class is designing a project using operant conditioning to teach something new. For my project I would like to teach someone how to use a social networking site such as Twitter, Facebook, LinkedIn, etc. I realize that many of these sites require more training than just the basic “how to” steps of creating and using an account. For my project specifically I need to work on the basics, but I would be happy to fill in the missing steps as well so both parties can benefit. The complexities of online etiquette and relationship building would come second. Completely unfamiliar with the chosen site. They have never been on it before or created an account previously. This will be something completely foreign to them. It should not be a digital native. I don’t want to say I want someone “old” for this experiment, but I also don’t want a younger person overly familiar with computers. I need this to be someone in Columbus who is willing to meet up with me for a couple hours during the next 5-6 weeks. I can be flexible in choosing a meeting location. It would be great if I found someone who really wants to learn. I chose this project because of its real life application. I know there is a demand for this knowledge and I want to help someone learn who in return is helping me. Do you know someone who fits these qualifications? Please let me know so I can set something up with them and feel free to pass this information along to a friend. Thanks! Sandbox Columbus, 851 N. Pearl St. This networking event is part of a series being held at Sandbox Columbus. It’s a coworking space in the short north (which I adore). It has a laid back environment and lots of cool peeps so I believe this series will reflect that. Visit eventbrite to pre-register and see who else is signed up. Juncitonview Studios, 889 Williams Ave. 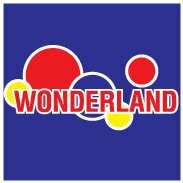 Unfortunately I think I’ll be out of town for this one, but I still wanted to give a shout out for the Wonderland Columbus pre-launch event. The former 65,000 square foot factory of Wonder Bread is being transformed into shared studio space (combination of artist studios, music studios, shared office space, and retail space). This is the first meeting for those interested in this project. The Ohio State University Fisher College of Business will bring together students, professionals, and community members to connect with each other and learn about market-based approaches to solving poverty. Visit the site to see the lineup of speakers for the day. This is a FREE event, but you need to register online. I’m really looking forward to hearing everyone share! This is an event being put on by our Otterbein PRSSA chapter. The panel consists of communications, marketing and broadcast professionals who work in sports. There will be a short presentation with Q&A time followed by table discussion and open networking. This event is free and open to all Otterbein students but if someone else is interested in attending just send me a message for details (we should have some extra seats). These are some local upcoming happenings on my radar. Please leave a comment and let me know what else is on your list. I hope to see you around soon. Last Friday I had the opportunity to hear Artie Isaac give a presentation at The Ohio State University’s Fisher College of Business. It was a talk on leading with your heart for a group of first year MBA students. Obviously, I’m not part of that group but there were some extra seats so I quickly took the opportunity to jump in and learn. I was left with a lot to think about, but I wanted to share just a few points in this post on how I want to start living. I want start taking time to pause and evaluate how I’m feeling. Not on an emotional or mental level, just physically how I’m feeling at a particular moment. Is my body relaxed, tense, hot or cold? What types of situations make me feel uncomfortable and stressed? There are some days I practically run through my routine. I rarely stop and think about how I feel, but perhaps this would help me feel more in control. We are humans doing, not humans being. Another thing I plan on trying is more self-reflection. Artie recommended sitting for a half hour every day in self-reflection. This does not mean writing another “to do” list or just relaxing with a good book that makes you think. This is a deeper examination of oneself. It’s a terrifying thought actually, because we are constantly doing. I am very guilty of this. I feel most alive when my schedule is the most crowded. I want to stop doing so I can start being and focus on my life. We must sometimes become selfish to be more helpful to others. I must tell people ‘no’ at times so I can become more powerful and make a difference. It’s an interesting approach, since we are told that being selfish is a negative attribute. Remember, taking time for ourselves in not a bad idea. I hope to find a balance between being a gracious volunteer and friend but also learning when I should say ‘no’ and avoid becoming overwhelmed. If you haven’t met Artie yet and would like to hear him speak, I definitely recommend it. Take him up on his invitation to sit in on an upcoming lecture at CCAD. I also pull inspiration and new ideas from his blog on creativity and ethics. Now go spread the good word.